This splitter makes the electrical hook-up of our 2" spot/auxilary/passing/road lights easy! 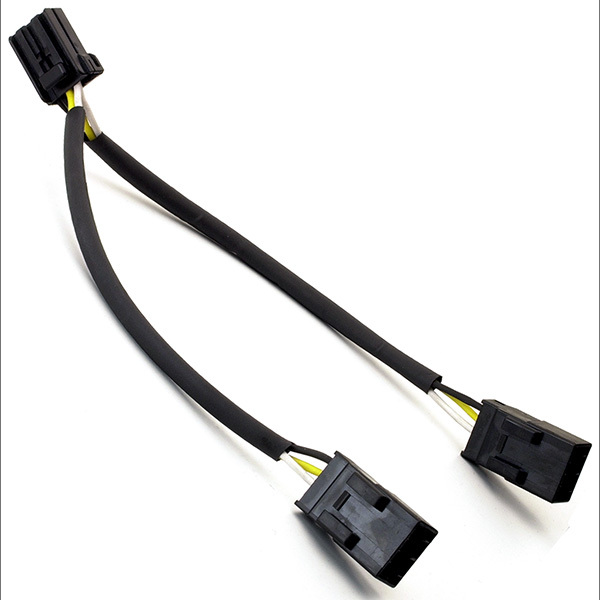  Insert the single connector end (male end, top left) into your stock headlight harness cap (female end of your harness).  Double connector end (bottom right) provides a cap (the female end) for your headlight plug and a cap for our spotlight plug.  When installed, spotlights and headlight will be on the same circuit and can be controlled through your hi/lo headlight switch.  This enables you to safely control your auxiliary lights without ever removing your hands from the handle bar!  Install gas tank and your done with the wiring!